I think we all have a memorable, unforgettable babysitting experience. Whether it was you babysitting a neighbors child or your younger siblings. In my case I'd help my mom out with my younger siblings, perks of being the oldest child. There is this one time that is forever stuck in my head, for me it's funny whenever I think back to it but to my time it wasn't that funny back then, now she can laugh it off a little bit. In Adventures in Babysitting a dull evening for two competing babysitters, jenny (Sabrina Carpenter) and Lola (Sofia Carson), turns into an adventure in the big city as they hunt for one of the kids who somehow snuck away. Be ready to grab your little partner in crime and make a movie night out of it! Now for a sweet surprise. One C'est La Vie Reader will get the chance to win their own copy of Disney Adventures In Babysitting. Plus each DVD comes with a free magnetic frame. 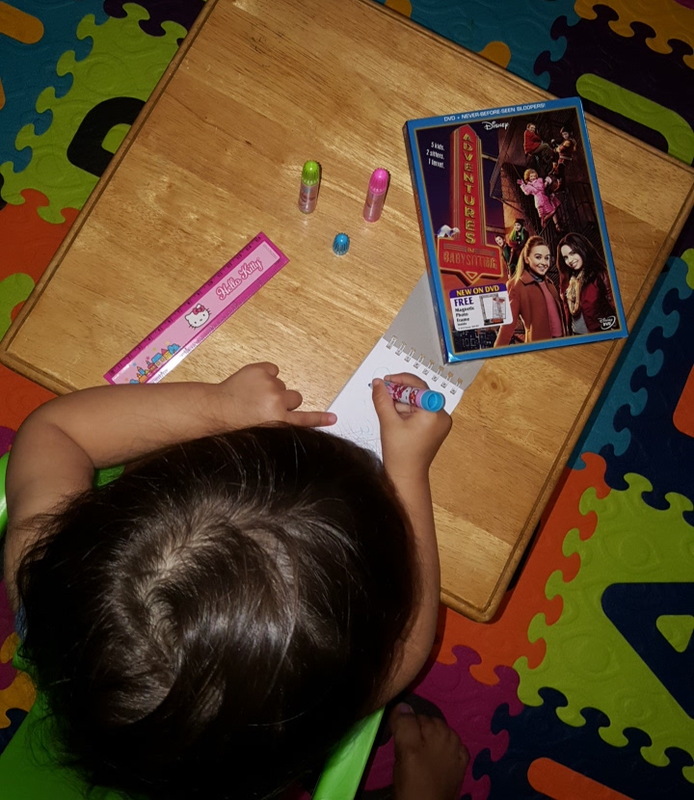 1 comment on "Disney Adventures In Babysitting DVD Review & Giveaway"
Loved this movie, we had family movie night (which rarely happens) but it was a perfect movie for all ages.